This wooden pier is situated near the head of Loch Nevis, about a mile west of Camusrory House. 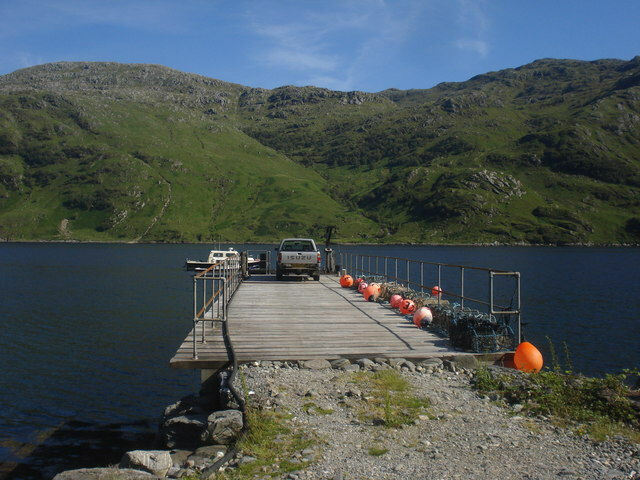 It is occasionally used by expeditions walking in Knoydart, who are dropped off at this pier before walking back to Inverie. It is owned by the 8,100-acre Camusrory Estate, currently (2010) for sale at a cool £2m.